First we brought the ability to highlight articles to Papers for iPad and iPhone, and now we have extended this possibility to Papers2. Notes were already part of both applications, but we've added some additional functionality to notes you have not seen in the past. 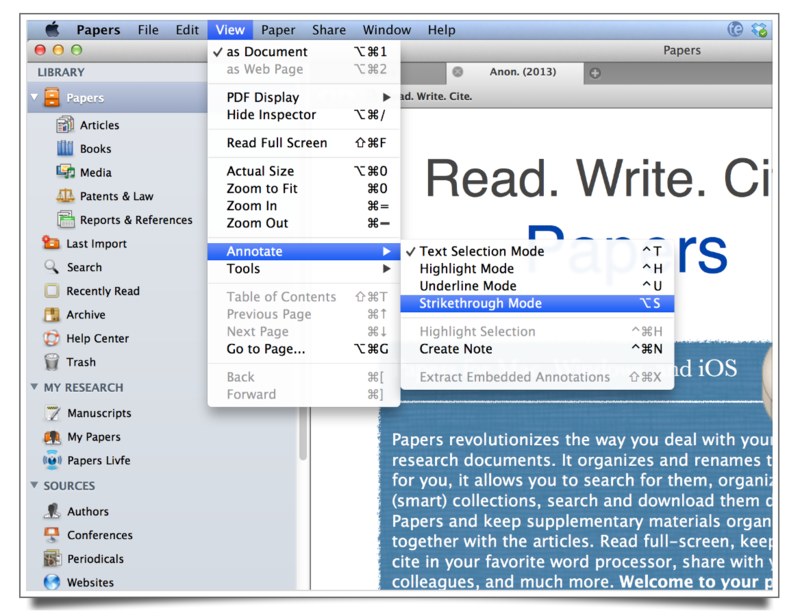 You can easily add and remove highlights to articles in your Papers library. These highlights are also synced to your iPad, and visa versa. We wanted to make highlighting as easy as possible: whether you are in the full-screen view, or just seeing a preview of your article you can select any amount of text while holding the command key, and the selected text is automatically highlighted once you release the mouse button. 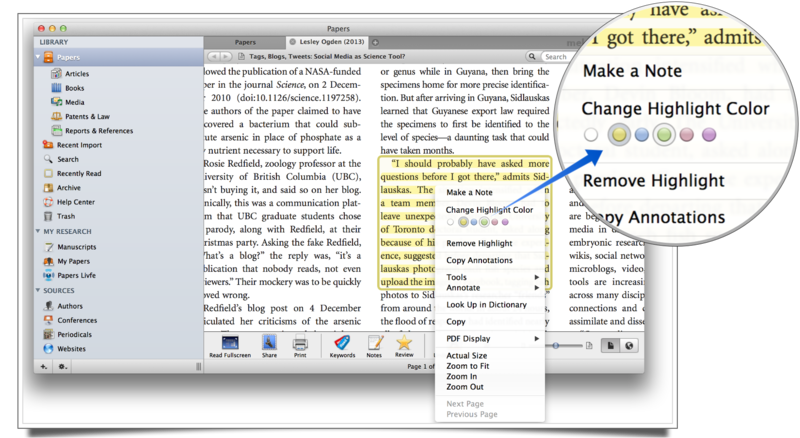 It is now possible to also underline and strikethrough text in your PDF articles. 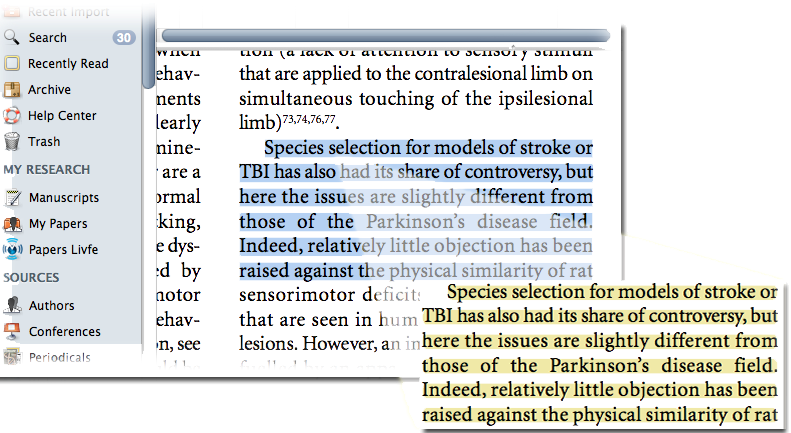 When you right click anywhere on your article in Papers, a menu shows up from which you can select Annotate -> Underline mode or Strikethrough mode depending on your preference. Any text you select now while holding the command key will be underlined, and of course you can change the color as you can with highlights. 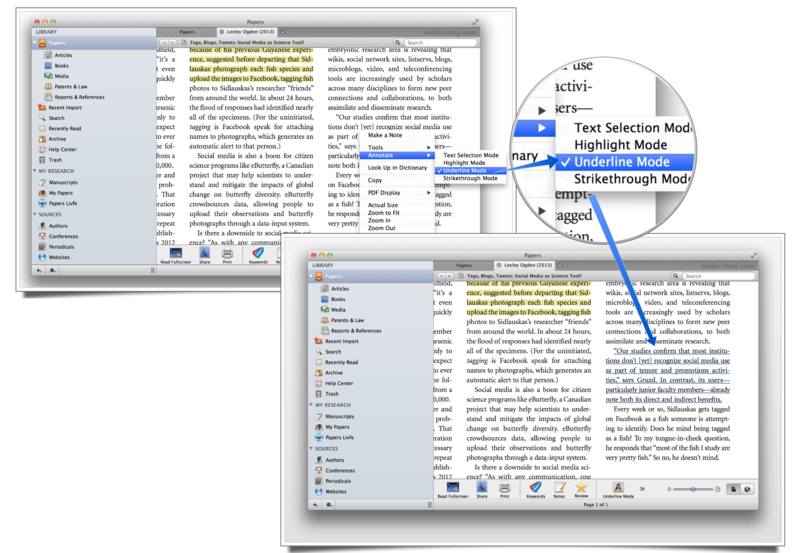 Another way to toggle between annotation styles is from the view menu. Select View -> Annotations, and select any of the annotation modes. There are now more ways to add notes to your articles. You can add notes directly in the PDF, by either right-clicking on anywhere in the text, or on a highlighted section and selecting "add note", or holding the command key while double-clicking anywhere in the text. A yellow sticky note will pop up, and when you are finished writing your note click anywhere outside of the note to make minimize it. 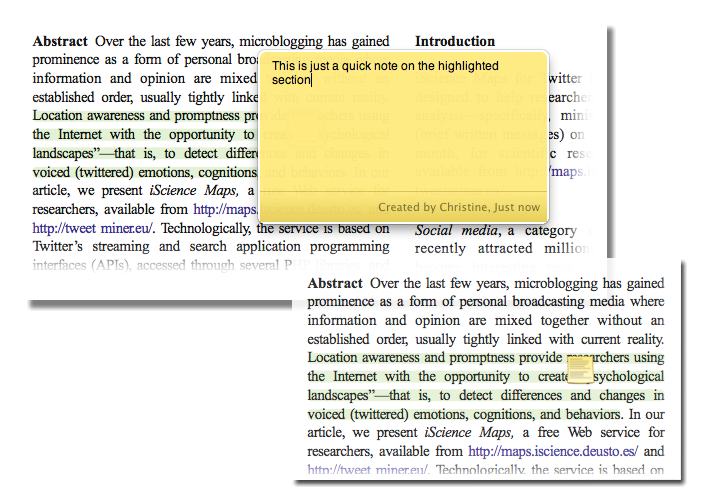 A small yellow sticky is visible on your PDF file and by clicking on it you can pull up your note.